St. Joseph’s Adult Care Home in Sloatsburg, NY provides a warm and friendly place to live for seniors needing assistance. Our Dormition Pilgrimage has attracted thousands of faithful every August since 1954! Learn about the SSMI Spiritual and Educational Center at St. Mary’s Villa Retreat House in Sloatsburg, NY. 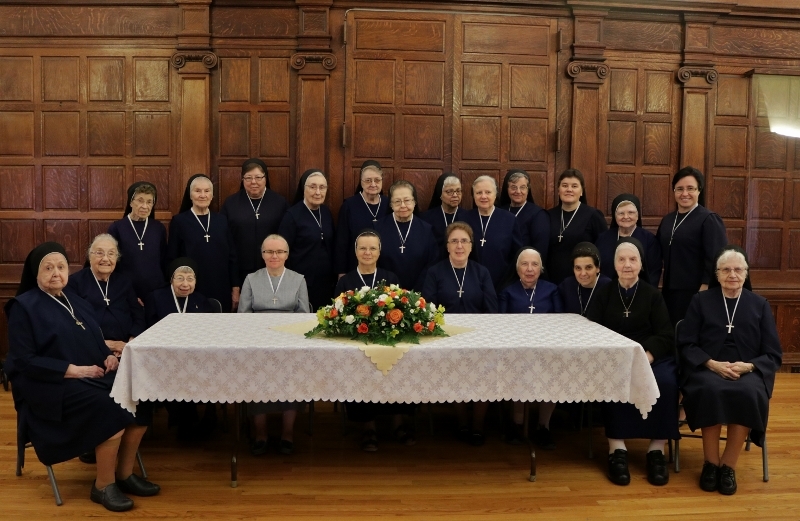 The Sisters Servants of Mary Immaculate, of the Immaculate Conception Province in the USA, welcome you to our website! 2018 began with a new General Curia for the SSMI's with the election of Sr. Sofija Lebedowicz as Superior General and her Councilors, Sr. Bonifatia Dakiv, Sr. Janice Soluk, Sr. Mykola Ctepac and Sr. Luiza Ciupa. We were founded in 1892 in Zhuzhel, Ukraine, the first active women's congregation in the Ukrainian Greek Catholic Church. Presently, we have almost 700 sisters worldwide with provinces in Brazil, Canada, Poland, Serbia, Slovakia, Ukraine and the United States, as well as being missioned in Argentina, Australia, Belgium, France, Germany, Kazhakstan, and our Generalate in Rome, Italy. Rev. Cyril Seletsky. We continue today to strive to carry on the passion and charism of our foundress and co-founders. We welcome you to browse our website and also encourage you to pray for vocations to the Sisters Servants, to discern if YOU have a vocation to serve where the need is the greatest in our church! Glory to God! Honor to Mary! Peace to Us!